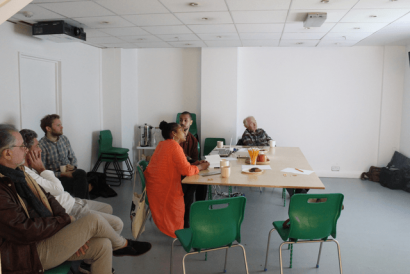 For the Saturday 28 April crit we had two showing participants, Paul Carroll and Zish Alexander, accompanied by participants Stefano Montagni, Will Eckersley, Steve Hoey, and Turf Head of Artist Development, Holly Graham. With only two showing artists we had ample time to dive into the works of Paul and Zish. 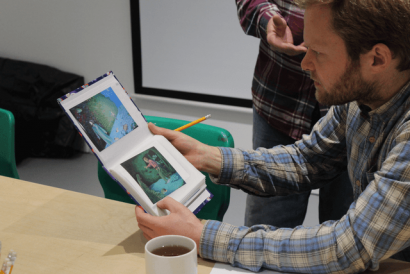 The crit began with Paul, who was presenting an assortment of paintings from the last two decades. Paul first unearthed a tiger painting and a photograph—what perhaps was a postcard—of a tiger. He propped the two on a green chair, the photo leaning against the painting, just covering the outer right corner. He then took out another painting, this one he noted he had started 15 years ago, but he has been struggling to evade a flatness that defined much of his work. He had been layering over sections of the painting, there was glue and other things that I cannot recall mixed into this thicker layer. ‘I’m moving into sculpture’. * He wanted to give the work greater definition, greater texture. Paul kept a small photo album with postcard size documentation of his paintings. Each painting had an intricate story, all autobiographical and on the frays of reality. He described himself as a prophetic dreamer. Each painting precipitated by a dream and each dream precipitated some event that crossed between the personal, national disasters, and international horrors. A painting of three train tunnels with Paul’s figure facing the tunnels, broken parts scattered on the ground, and smoke waffling from the tunnels preceded the 7-7 bombings. ‘I was there’, * I couldn’t tell at the time if he was meaning the dream, which he described so vividly, or the event itself. Paul used to work on the underground; I can imagine this impacted on him in that particularized way of a fractured familiarity. Among our questions put to Paul we asked about the importance of these autobiographical vivid narratives that interposed the prophetic dreams, his beliefs, and his biography. It felt crucial to the work. Could there be an audio narrative or performance alongside the paintings or did the paintings best evoke these narratives through their own intricacies? What we could get from Paul was that he painted the dreams as best as he saw them, and that first and foremost he painted for himself. We didn’t get a clear answer as to where the narrative sits alongside the paintings, but this will be a great area for him to explore further with the work. Paul’s figure seemed so important to the work, he questioned putting himself in those paintings, but it seemed as though his figure was integral as our guide to his inner workings. He always appears in profile or from behind, we look on from behind Paul, we cannot see the horror on his face in traversing these dreamscapes, or often-nightmarish landscapes, but the ways in which he constructs the space and figures, which are at times monstrous, relayed the sense of dread. Zish was the second artist to present his work. We began with some of his earlier work. 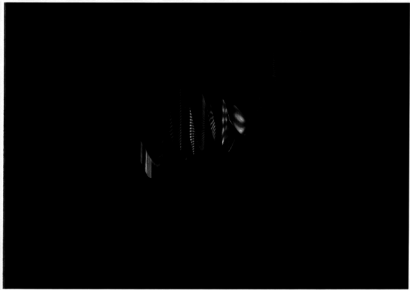 Urn was a sculptural project, which he presented the documentation from. 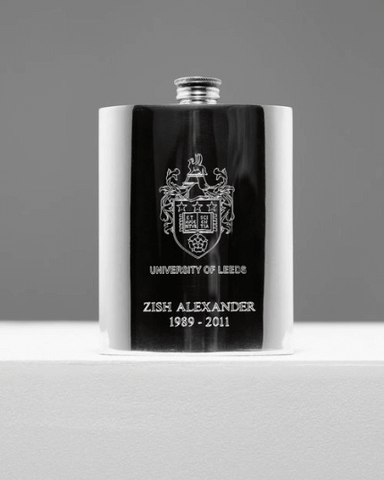 He described the sculpture’s conception: the flask was purchased from University of Leeds, his alma mater, ‘People go there to party rather than to study…They sell University of Leeds flasks, they promote alcoholism.’* Zish studied economics, but did not find an interest in the course. He repurposed the flask as an urn, inscribing his name and the death of that version of himself onto its metal surface. Inside he had placed the burned remains of his degree. I asked Zish whether he cared if we knew this, as it remained the unseen element of the work, which was pointed to in the title and the material list of the work. He did not mind this. We moved into a series Zish had carried out at his former office, in which he had scanned various objects from his surroundings. We discussed the impact of recognition of the objects. Will enjoyed the objects that lost their definition. We talked about sequencing and moving between understanding and suspension of our recognition of the object. One object that stood out to me as perhaps misplaced within this collection was the fork, and I asked Zish about this crossing between the domestic and the office space. He talked about always eating at his desk, his selection of the objects did include the domestic as those spaces often cross and blur. On blurriness he continued in elaborating the experience of working over 24 hour days, the delusion that sets in at 4am. 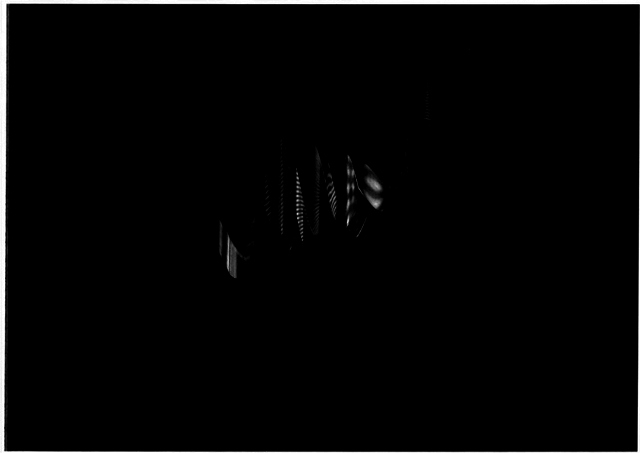 The scans seemed to scratch at this, the unravelling of one’s banal surroundings. 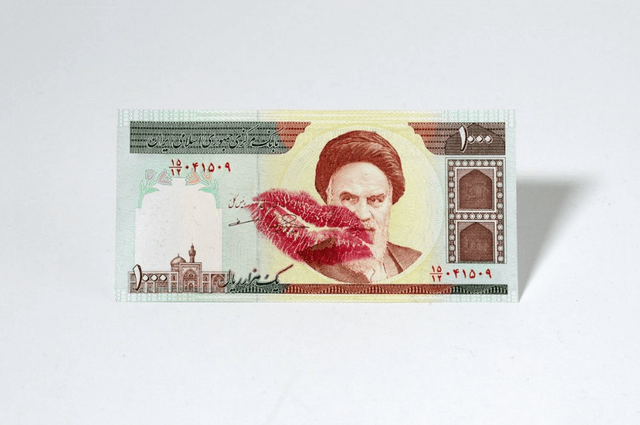 Zish’s most recent series, ‘Notes’, consisted of a collection of currency, which was primarily out of circulation. Each note was touched by his mark or intervention. One note crumbled, another kissed—I never did ask Zish whether he was the lipstick wearer to kiss this—another censored, eyes crossed out neatly, and others still with text inscribed on top. We spent time unpacking Zish’s connection to capitalism as a former economics student. I was interested in the voice of the author of these inscriptions. Zish felt that this voice was very much his own, reflective of his perspective on our relationship to currency and capitalism. Someone mentioned consumption and consuming. We talked about some of the more playful interventions to the notes, the text, which operated almost like lyrics and left open a varied reading. 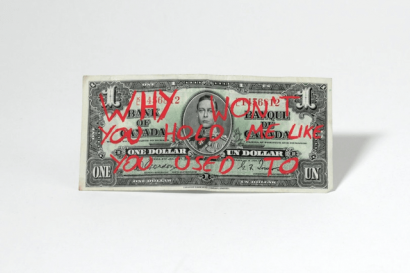 A few of us pinpointed these particular works, which played with that tension between a serious critique on capital and consumption and the lyrical. As decommissioned currencies we talked about how they became a something else, a part of an archive, in which he then intervened. As much as it felt important that Paul’s work had his trace, his figure to guide us, Zish’s intervention on his most recent sculptural works felt equally fundamental. In concluding, I talked briefly about the significance of experimentation within their practices, and the value of seeing the ways in which the work operates within a physical space. Both artists appeared to be at a stage of transition within their practices, Paul reaching for more definition within his work and exploring a new series of portraiture (unseen), and Zish’s ‘Notes’ series, which stood apart from previous work in better conveying a sense of authorship and critical intervention beyond the gestural. *N.B. all quotes are recollections and may not reflect the exact wording from the artists.